Product prices and availability are accurate as of 2019-04-08 06:36:23 EDT and are subject to change. Any price and availability information displayed on http://www.amazon.com/ at the time of purchase will apply to the purchase of this product. 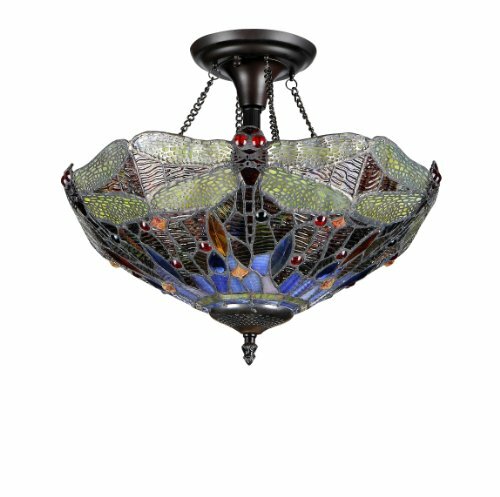 DRAGAN, Tiffany-style Dragonfly ceiling mount fixture is handcrafted with pure stained glass, with gem tone, soft pedestals, as well as the Dragonfly motif. 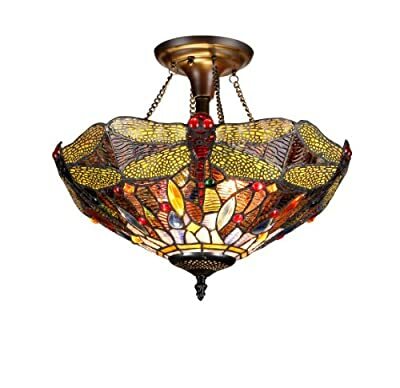 The warm color glow of the stained glass will creates warmth to your home. Made with top quality materials.